Week in Transit: Halloween, Muni BRT Feedback & Tot Trot – Peninsula Moves! Celebrate Halloween In the Bay Area: Whether it’s haunted houses, pumpkin patches, or trick or treating spots—the Bay Area will offer something for everyone on Halloween this Saturday. For thrill seekers, The World’s Largest Haunted House in San Jose may be their speed. 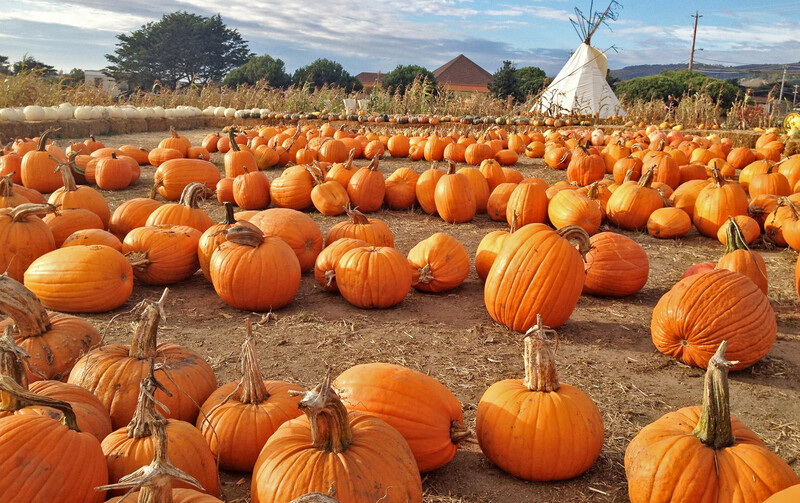 Families with young ones could check out Halloween Happenings at the King Center in San Mateo, or they could scope out all the orange gourds in Half Moon Bay at Farmer John’s Pumpkin Patch. NBC Bay Area and the San Francisco Chronicle have both compiled an exhaustive list of things to do this weekend, providing options for things to do from Santa Rosa to San Jose, and all spots in between. Muni Collecting Feedback on Proposed Bus Rapid Transit Line on Geary Avenue: The San Francisco Municipal Transportation Agency, which operates Muni in San Francisco, is collecting feedback from residents on its proposal to introduce Bus Rapid Transit (BRT) service to Geary Boulevard. In discussion for years, BRT service—a more bulked-up version of regular fixed-route buses—would reduce transit travel times on the busy thoroughfare by up 10 to 15 minutes, provide 20 percent more reliable service and improve pedestrian safety and access, according to the SFMTA. The agency, in coordination with the San Francisco County Transportation Authority, released its draft environmental impact report on the project earlier this month, and is collecting input from the local residents through November 16. Bring the Babies to Sunnyvale for Tot Trot: Who says distance running is just for adults? On Sunday, Sunnyvale will host the Down by the Bay 5K and Tot Trot, a competition that both parents and their children can enjoy. Families are encouraged to dress up their best Halloween gear and come down to Baylands Park in Sunnyvale for the all-day event. There are races for adults and walks for the kids, as well as a family activities center at the finish line, where there will be games, raffles and other activities. The Santa Clara Valley Transportation Authority’s Crossman Station is just a short walk from Baylands Park, so families can skip the hassle of parking and traffic by taking transit to the event.